When dexterity, accuracy and speed are the priorities - the VIPER™! 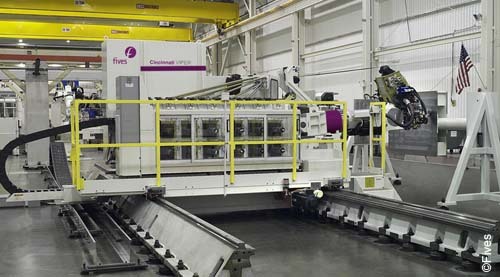 The Cincinnati VIPER™ platform of machines combine the advantages of tape laying and filament winding with advanced computer control and software to achieve unmatched production capabilities for a wide variety of complex composites parts. Fiber placement systems are designed for dexterity and flexibility for production of wrinkle-free lay-up of convex and concave parts. 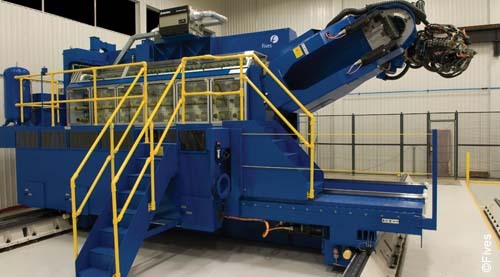 The Cincinnati VIPER™ machines are highly productive and equipped with patented features to produce superior quality while dramatically reducing scrap. 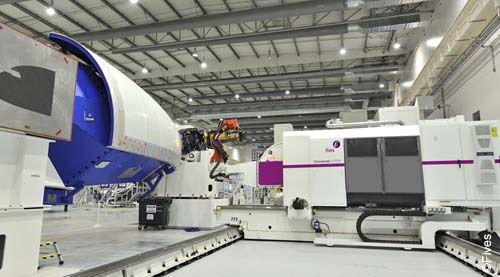 With 7 axes of motion, the VIPER™ platform is particularly suited to flat and highly contoured structures such as cowls, ducts, fuselage panels and barrels, bulkheads, wings, payload adaptors, fan blades, spars, frames and stringers. Offered in a variety of sizes and configurations - VIPER™ 1200, 4000, 6000. With the largest installed base of fiber placement systems in the world, and the most certified flying composite parts in the industry, the VIPER™ Fiber Placement Systems platform has unmatched production capabilities for a large variety of complex parts. 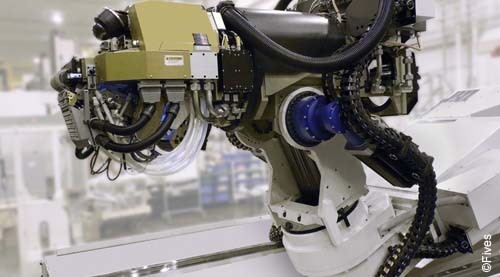 The Cincinnati VIPER™ automatically and independently control up to 32 individual tows or slit tape producing a variable bandwidth “on-the-fly”. Each tow can be independently dispensed, clamped, cut and restarted during fiber placement. Gaps and overlaps are minimized as the machine precisely lays interior or exterior contoured boundaries. Nearly 30 years of fiber placement experience, with the highest productivity, highest accuracy, and lowest scrap rate in the industry, the Cincinnati VIPER™ is the product-of-choice to the aerospace industry.